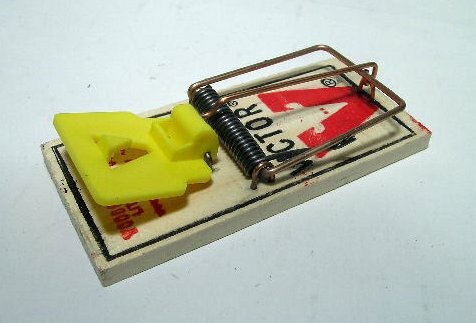 PRODUCT DESCRIPTION: The mouse trap has been around for a long time yet its still a very effective tool. The new design, which uses an "expanded trigger", is even more deadly. 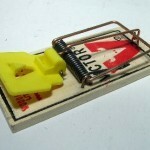 Placed in the path where mice are known to travel, this trap will effectively control small populations quickly. If you have a big infestation, other methods will have to be used as well since mice will become afraid of the traps over time. Use Trappers Choice Pecan Paste to get them to the trap quickly and to get faster results. WHERE TO USE IT: In and around businesses and homes away from pets and children. Keep it out of the reach of children and pets. RATE OF APPLICATION: As many as needed. It is not unusual to install 1-2 dozen at a time.